Discussion in 'PLDT' started by geekph, Dec 18, 2016. Once your free 1 month Netflix has been used up, you will no longer be granted another free 1 month when you register via myHome using the same email address. There will be a 7-day grace period from the start of your subscription for you to settle dues to PLDT. If no payment is made within 7 days, Netflix usage will be stopped and you will have to sign up again. Click Register and log-in using your myHome ID. Choose your plan. Standard plan includes HD and Premium plan includes 4K. 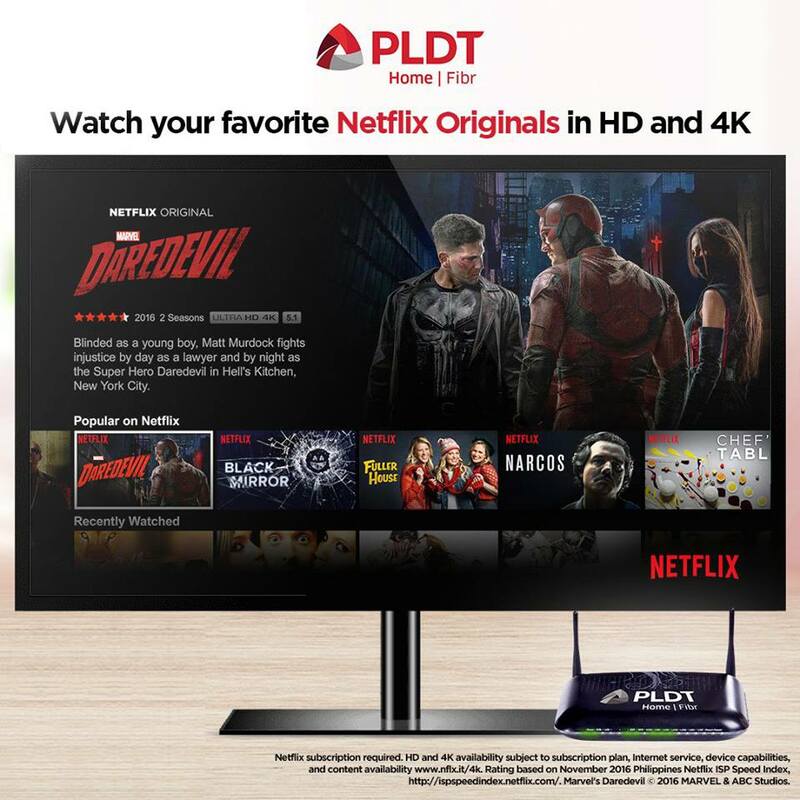 Let me know your experience of this "Lag-Free" streaming or just another pldt offer as its pretty bold for this claims. What you can do to improve internet in Philippines Internet Service Providers is by complaining at DTI this is our right.